Three Ghost Friends: Download Three Ghost Friends eBooks onto your holiday eReaders! 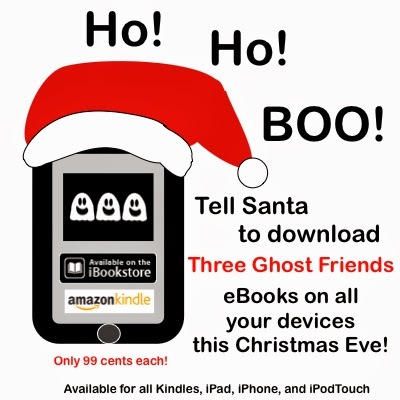 Download Three Ghost Friends eBooks onto your holiday eReaders! Available on Kindle and iTunes for only 99 Cents! Don't forget about our FREE activities and printables. It will keep your kiddos busy over the holiday break!